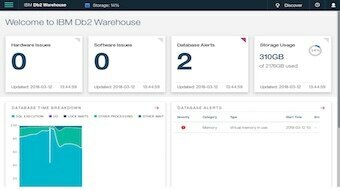 IBM Db2 Warehouse is a software-defined data warehouse for private and virtual clouds that support Docker container technology. It is client managed and optimized for fast and flexible deployment with automated scaling to meet agile analytic workloads. 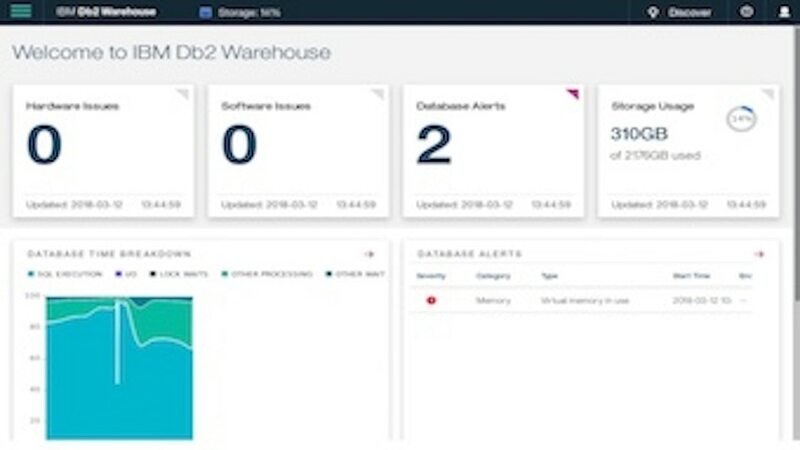 Fusing IBM Db2 BLU and Netezza technologies, Db2 Warehouse offers cloud elasticity combined with the simplicity of a software appliance. 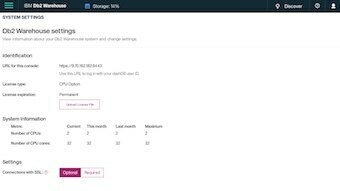 It is supported on variety of platforms such as Intel x86, Power and Linux on z. Db2 Warehouse can also be deployed on IBM Cloud Private platform, IBM Bluemix, or any virtual private cloud such as AWS, Microsoft Azure and more. 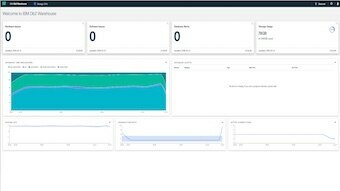 Deploy a pre-configured data warehouse in minutes on Docker container supported infrastructure of choice, with elastic scaling and ease of updates/upgrades to continually meet service levels. Gain insight when applying in-database analytics where the data resides. 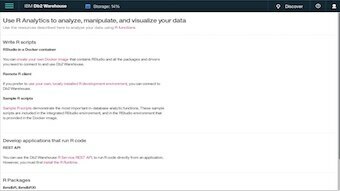 IBM PureData for Analytics, Spark and Open Source R provide predictive modeling algorithms built directly into the database. 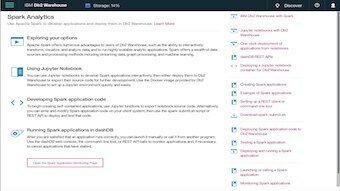 Use Spark and IBM BLU Acceleration in-memory SQL columnar processing with a MPP cluster architecture to speed up complex queries and predictive model building, testing, and deployment. With just a few clicks, unstructured data sources are automatically transformed into a structured format for analysis – Twitter data, Open Data, geospatial data, and more. 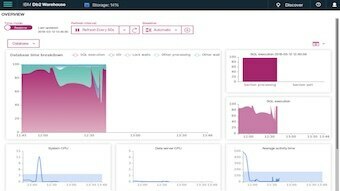 A common SQL analytics engine across public and private cloud, compatible with on-premises data warehouses, enables workloads to be moved to the right location with ease. Install on Enterprise grade servers or virtual private cloud. Purchase from the Hybrid Data Management Platform offering.